Luckeyfrog's Lilypad: Songs to Remember Measurement Conversions! Edited to add: I included this in Manic Monday at Classroom Freebies! My kids were, uh... ACTIVE this week! Even though measurement is a pretty interactive math unit, I still tried to spice it up by adding a few of my own activities. Since the charts weren't too pretty, I typed them up for you! We sang a few verses of a measurement song to the tune of Bingo to remember some of the most important conversions between units of length (standard and metric). You can see the first one below! I'm hoping the song helps the units really stick! 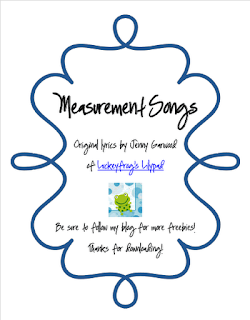 If you'd like a copy of our measurement songs as a freebie, click on the picture below and leave a comment! I also included a song about units for measuring capacity. I still have a hard time remembering these sometimes! 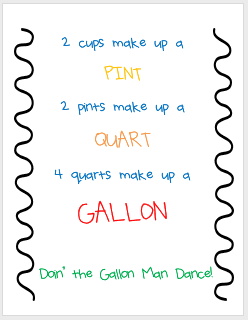 Gallon Man (or Mr. 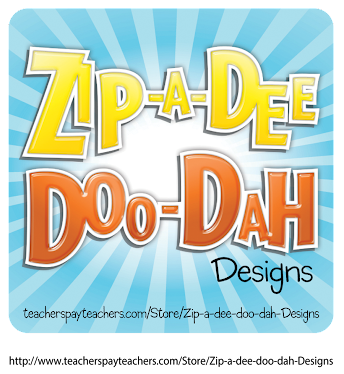 Gallon, Gallon Guy/ Gal, or Super Gallon Man, or Gallon Robot) is a terrific way to teach these units once the students have had a chance to measure for themselves, and this song lends itself perfectly to singing along with a Gallon Man! I have been trying to fit in words to "Head, Shoulders, Knees, and Toes" for years- but I finally tried out a new tune, and "Dry Bones" works much better! My kids have loved coming up with motions, singing with different dynamics, and performing our song for other classes. I hope your class will enjoy it, too! Next week, we're starting fractions... any new tips or ideas for me? It comes for a perfect time for me too! We are in our measurement unit now! Thanks for sharing! Have you ever noticed that children learn well with song. I have so many songs memorized. I think that if learning were set to a tune, it would really help! I recently subbed and they were learning about capacity. This song would have come in handy! Filing this one away for next time. I also posted a Manic Monday freebie. Be sure to check it out! These are great, especially since measurement seems to always be difficult for kids. Thanks for sharing! 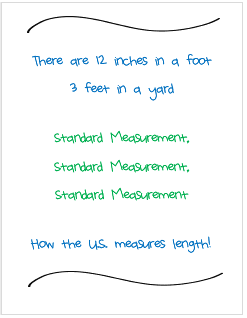 I googled measurement songs and this came up!! I saw your blog and was like yaaaaaaaaaaaaaaaaaaay! I'm so glad I don't have to make them up on my own (although I'm not sure I know the Dry Bones tune). These are so cute! Songs are the best way to remember lots of things. Now if I could just get one for teaspoons, tablespoons and cups... I can never remember those ones!